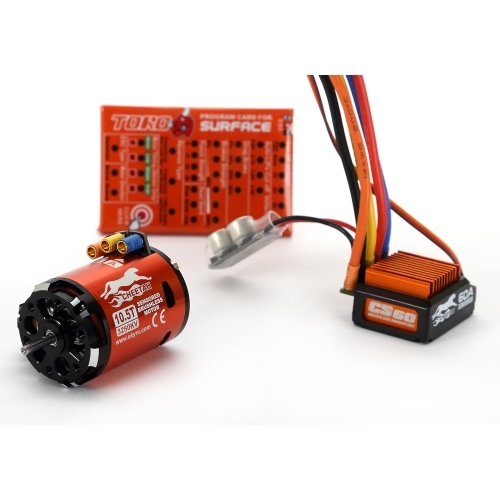 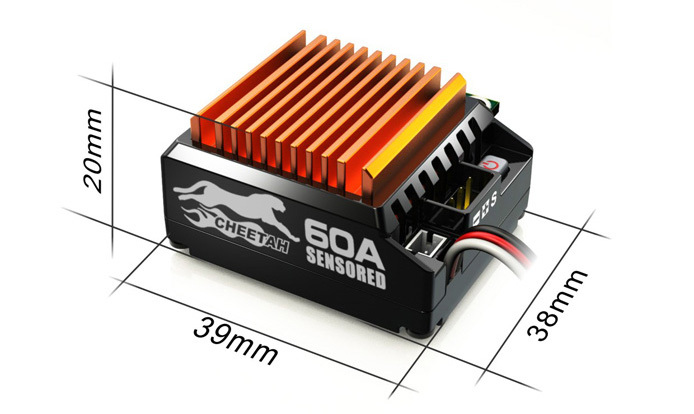 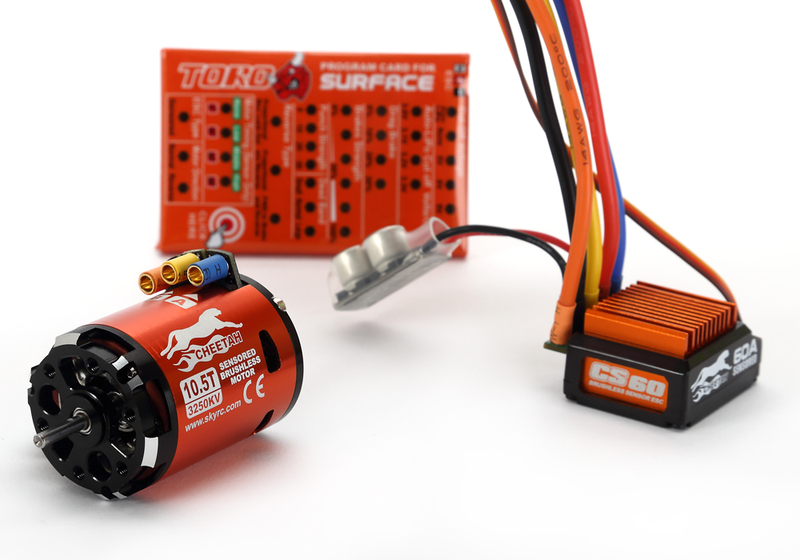 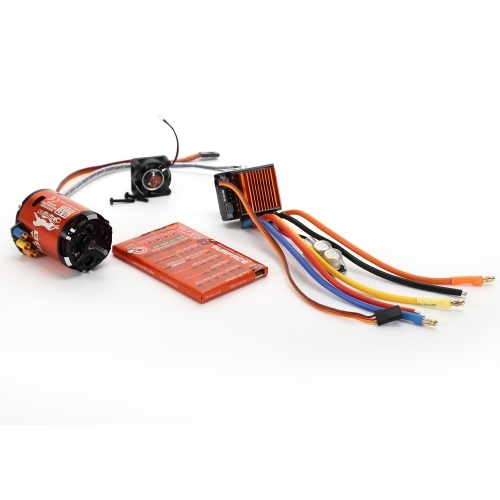 Cheetah 1/10th 60A Sensored Combo set is ready to run out of box,coming with Cheetah 60A Sensored ESC, Cheetah Sensored Motor and Program Card. 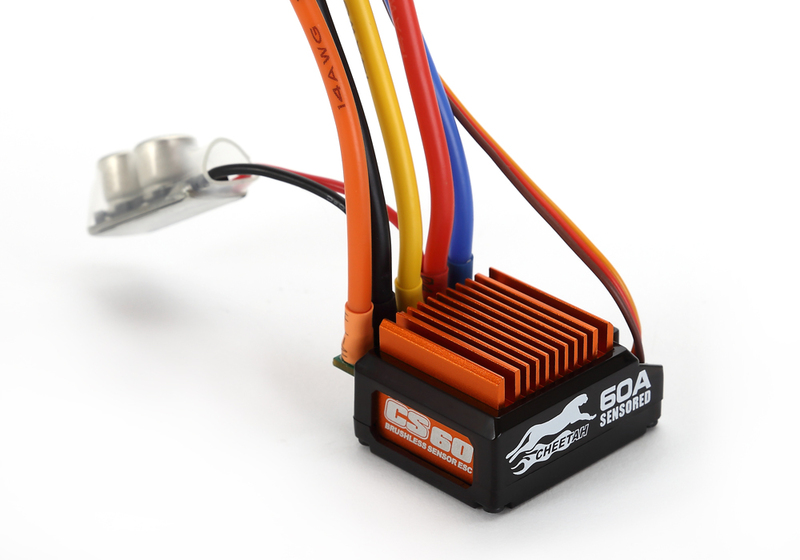 This combo is perfect for 1/10th scale Car. 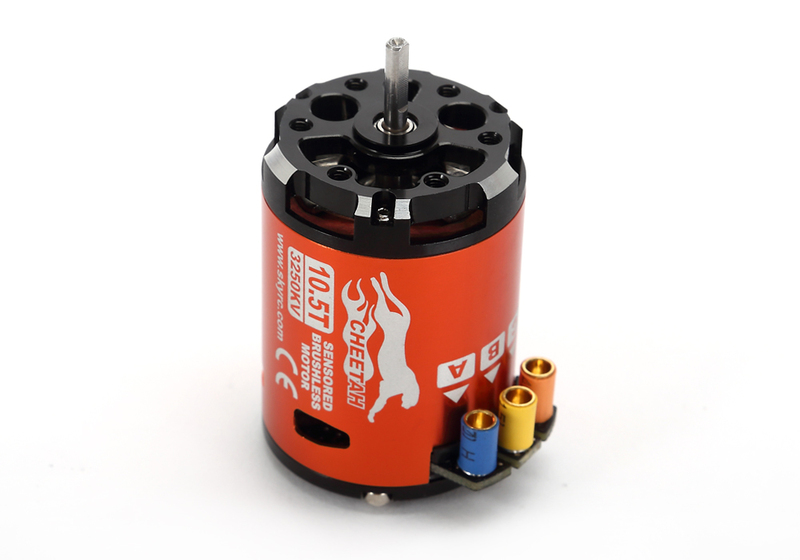 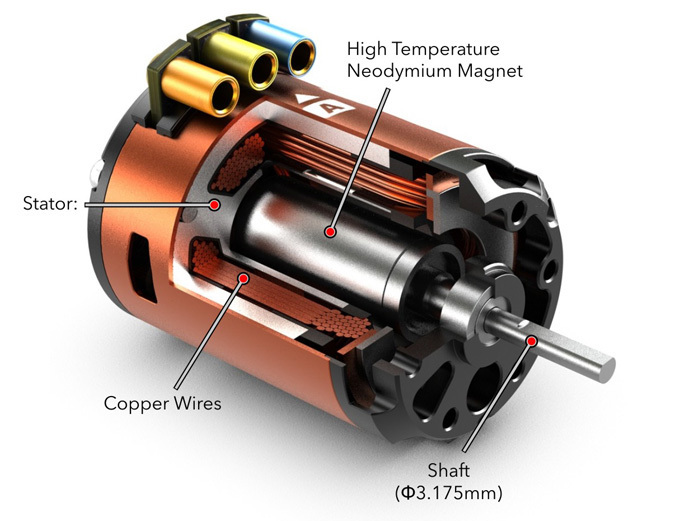 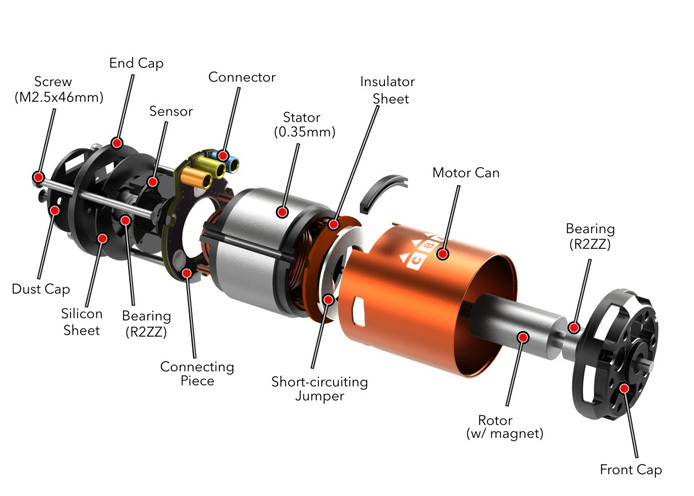 There are 5 kinds of motor KV which can meet your request for speed or torque. 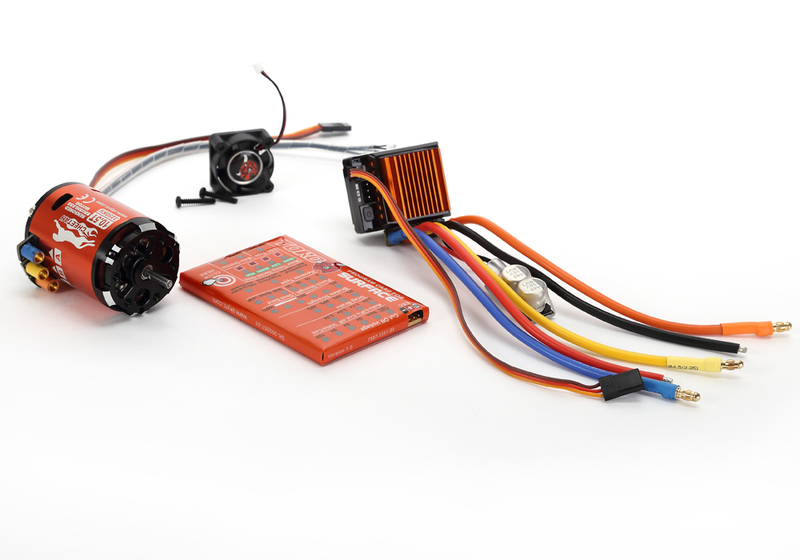 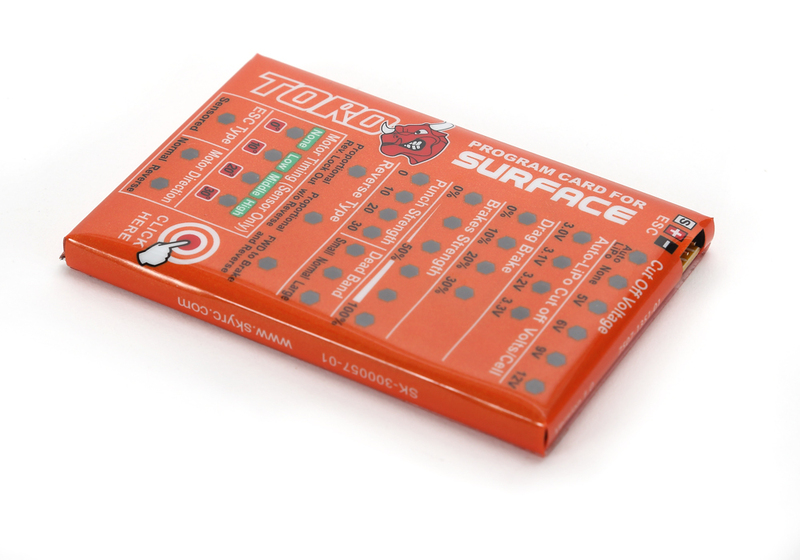 When you connect the ESC with the program card, you could tune and tweak all your favorite settings such as cut-off voltage,brake and punch strength, drag brake and other parameters that add up to an incredible RC driving experience. 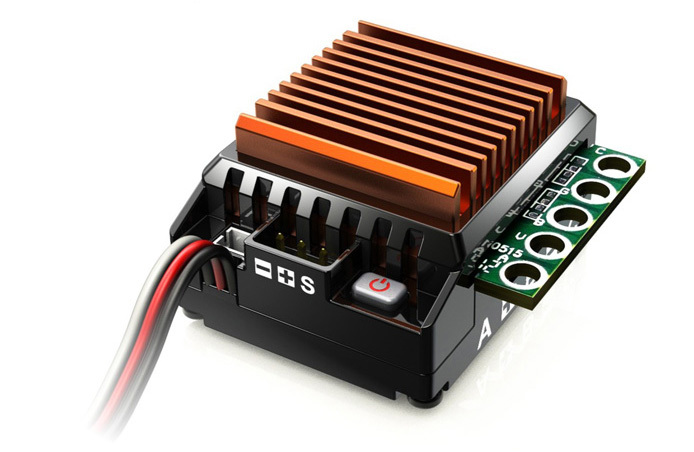 It is designed for 1/10th and 1/12th scale car with the use of 2-3 cells LiPo battery and 5-9 NiMH battery. 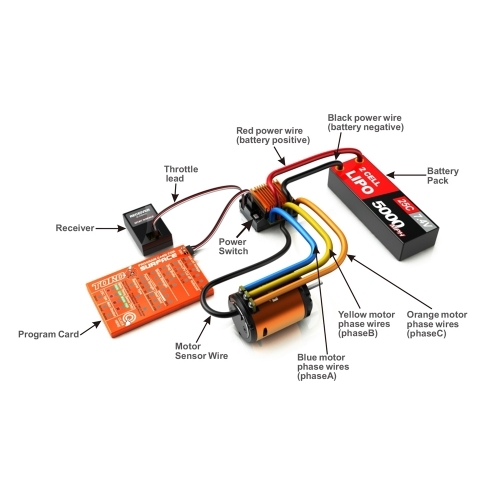 Equipped with 6V/3A BEC, it doesn't need a separate receiver pack. 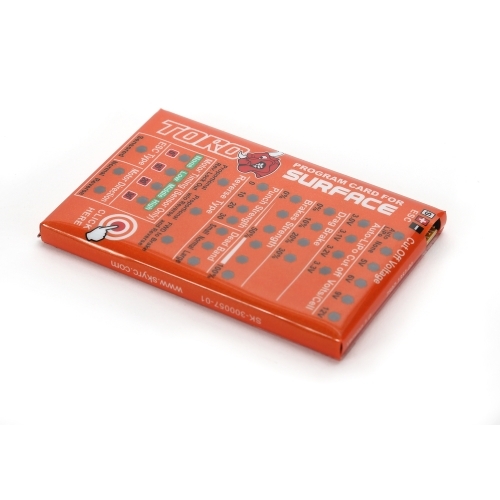 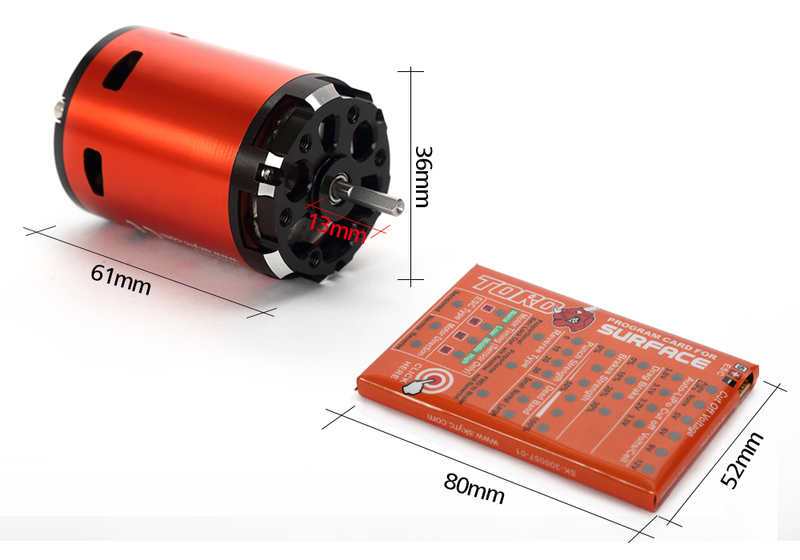 With Program Card, you could set cut-off voltage, brake and punch strength, drag brake and other parameters. 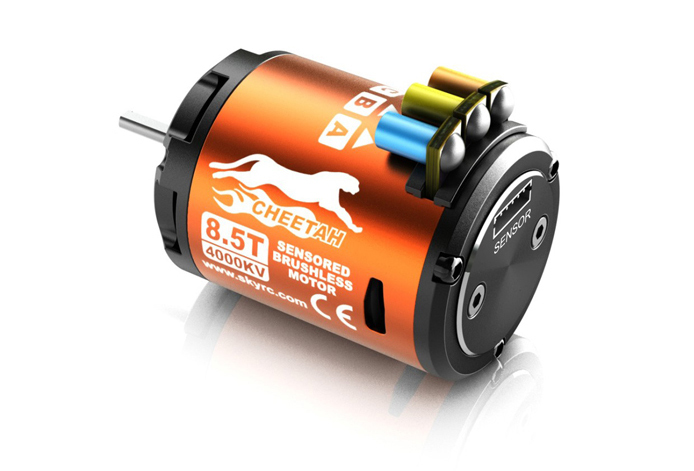 Cheetah 1/10th 60A Sensored Combo set is available with five kinds of motors (8.5T 4000KV/ 10.5T 3250KV/ 13.5T 2590KV/ 17.5T 1870KV/21.5T 1600KV). 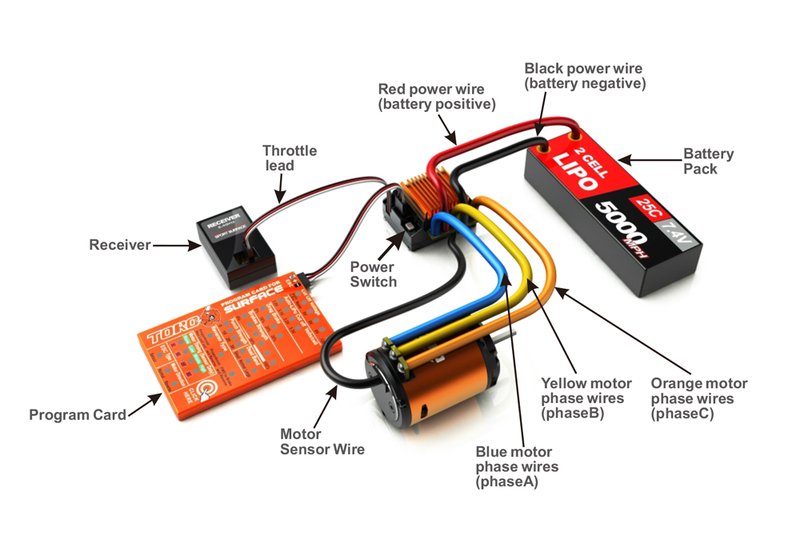 You could mix and match gearing and number of cells that they are using to create a power system that can be mild or wild with any of the motors. 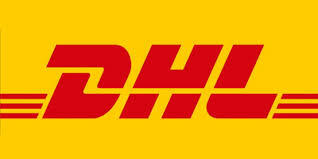 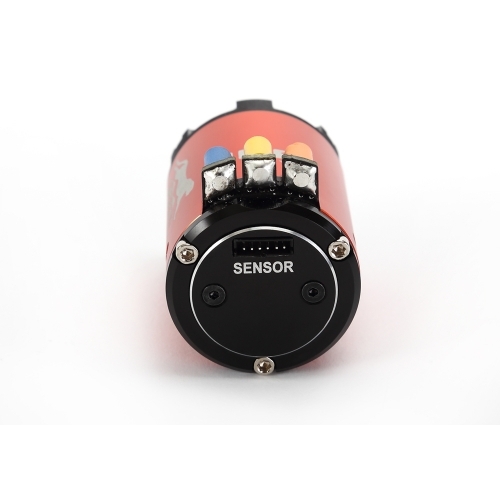 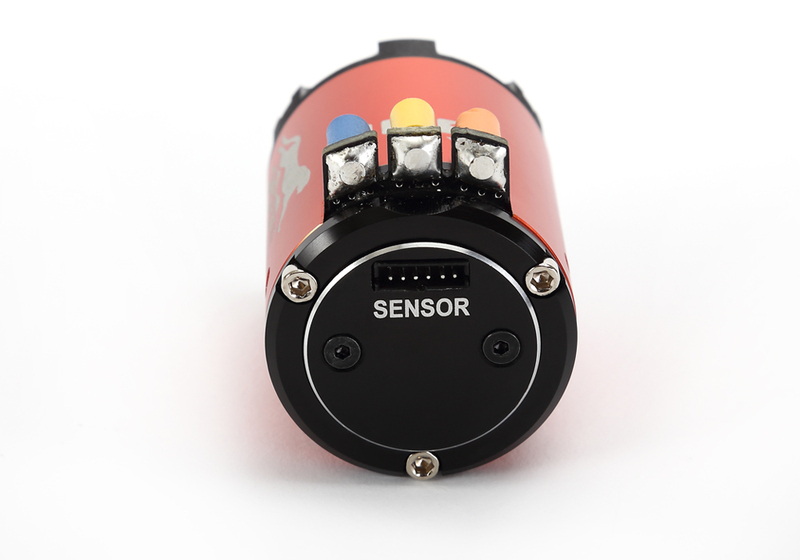 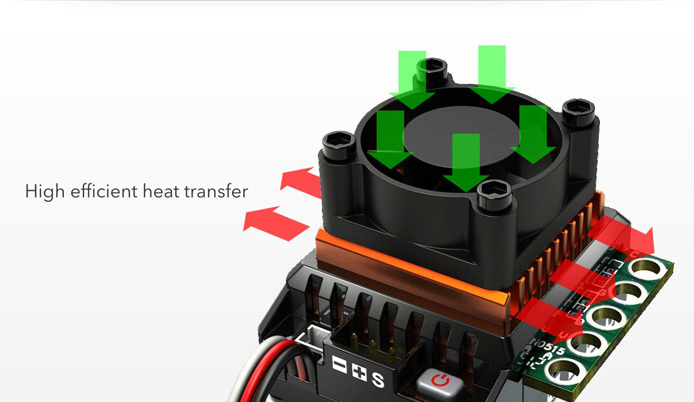 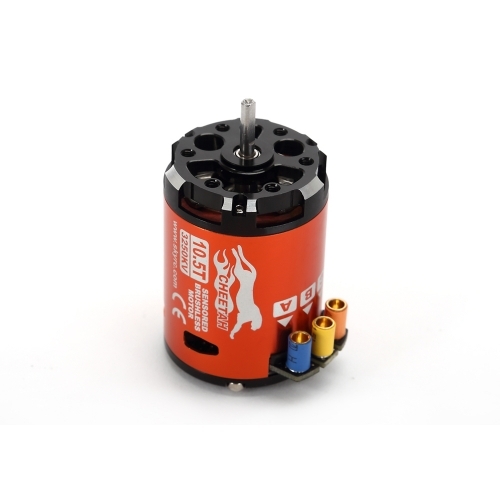 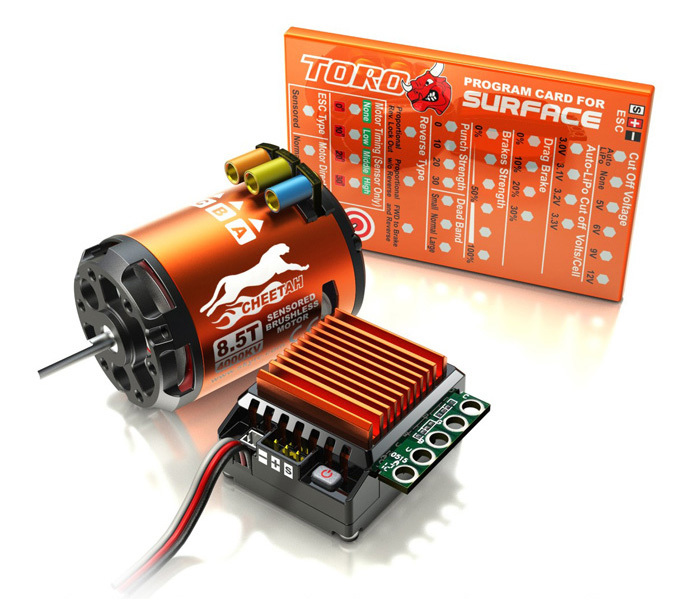 ＊The above suggestion is based on using 12.5mm rotor and esc without timing setting.